We all know how much the French love their pharmacies. These particular ‘riots’ might have happened at the very beginning of 2018 but if you’re anything like us, they’ve lived on in your memory. The scenes of hysteria and reports of consumers “acting like animals” in French supermarkets as a result of discounted pots of Nutella at Intermarche supermarkets made international headlines in January. And although the country’s passion for Nutella hadn’t exactly been a secret before, the 70 percent discount on the famous chocolate hazelnut spread really showed what the French are willing to do to get their hands on a pot of the stuff. When a French baker received a hefty fine, it would have been understandable to jump to the conclusion that it was down to the fact he’d put something sinister in the baguettes. But this is France, so the real reason for the €3,000 fine was that baker Cédric Vaivre was working too hard. And unsurprisingly he wasn’t too happy about being handed such a severe punishment. Sheep carcasses – check. Blood – check. Scuffles – check. All outside one French village town hall. This story really showed why you shouldn’t get on the wrong side of French farmers and how far they are willing to go to protect their sheep. The long battle against the English language in France is a well documented one. One of the best examples of that in 2018 was the French language guardians attempting to rid France of the word “smartphone”. However, like many of their previous attempts to banish English tech words from French, it seems this one also fell on deaf ears. It’s fair to say that France’s World Cup victory bestowed a feeling of pride and joy across much of the country this year. But a couple of apparently football-obsessed parents took their passion a bit further when they decided they wanted to name their baby “Griezmann Mbappe” after two of the national team’s heroes. Cue the French name police who stepped in to say that such an eye-catching name could cause the child problems in life. The French capital’s flourishing nudist scene was given a “day to remember” this year when a Paris gallery gave nearly 200 people a rare chance for a clothes-free visit weekend. 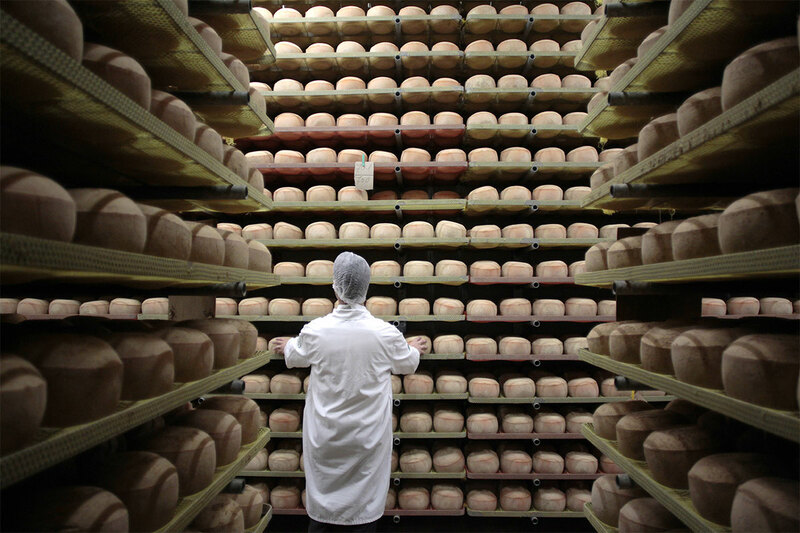 Can cheese really be “murdered”? Yes… if you’re in France, that is. Back in May, a group of top French chefs and winemakers have blasted a deal between Camembert cheese makers that they say will lead to the death of the much-loved and world famous fromage by turning it into a “paste with no taste”. Posted on January 2, 2019 by Michael StevensonPosted in Culture, NewsTagged 2018, France, news stories.